Timing has never been my strong suit. As soon as I stopped my daily commute to New York City, the Morgan Library and Museum opened a display titled “Medieval Monsters: Terrors, Aliens, Wonders.” To appreciate the irony of this fully, you need to realize my office was just across the street from the Morgan Library, and the daily visits would’ve provided a good opportunity for a lunch-time break with my beloved monsters. Instead I was spending the time moving further west and unpacking. Still, displays like this are a tacit form of validation. Those of us who admit, as adults, that we like monsters huddle under a cloud of suspicion. Monsters are a matter for kids—like dinosaurs and fairies—not something on which an upwardly mobile adult spends his time. We’ll take whatever validation we can get. Perhaps we’ve been too hasty to dismiss our monsters. Even the Bible, after all, has them. They help us cope in a chaotic and uncertain world. A world of hurricanes and Trump. A world lacking compassion and sense. Monsters have always been symbols of the borderlands. Creatures that cross boundaries and that shouldn’t exist but somehow do nevertheless. Science has helped us understand our world, but in our desire to grow up enough to use Occam’s razor, we find that it shaves a little too close. Besides, what can be more unnatural than shaving? When we lose our ability to believe in monsters, we lose a piece of our ability to cope with an unpredictable world. Monsters have their practical uses indeed. If the world were more predictable, I would still be teaching instead of editing. Or I’d still be living in an apartment rather than a house. Moving is chaos embodied. Like monsters, it’s best left to the young. It’s just like this world for a monster display to open just across the street right when you’ve moved out of town. I should expect no less in a cosmos marked by uncertainty. Medieval Monsters isn’t the only museum display of the weird and wonderful. Monsters have a way of showing up again once you think they’re safely gone. Family and friends share with me their visits to other monster exhibits at other museums. They may wonder at my fascination with them—an adult with a sober doctorate in the field of history of religions, biblical studies, ancient Near Eastern religions, whatever. It’s kind of a monster in its own right, on display here daily. If you happen to miss it, don’t worry. It’ll remain lurking in its own corner of the internet. Getting to the movie theater is not only costly, but increasingly difficult to schedule. This can be problematic for someone who likes to write about movies, but the realities of the commuting life aren’t very malleable. So it was that I finally had a chance to watch Arrival, on the small screen. It had been recommended, of course, and although it’s not horror it has aliens and a linguist as the hero—my kind of flick. Once it began, I wondered if religion would play any role in the story. Alien contact would certainly rate as one of the more formative religious events of all time. The only reference that was obvious, however, was the suicide cult shown on a news story in the background, immolating themselves as the aliens became known. Louise Banks, a linguist who has security clearance, has a sad story. Spoiler alert here! If you’re even more tardy than me you might want to fire up Amazon Prime and read on afterward! The movie opens with her watching her daughter grow up, only to watch her succumb to a rare disease as a young woman. Then the aliens arrive and she’s whisked off to Montana to try to communicate with them. It’s only after repeated encounters, learning the written language of another race, that she asks who this little girl she keeps dreaming about is. The child is in her future. The aliens see time as cyclical, not linear, and by learning their language she begins to think like them—knowing the future holds a tragedy for her. The intensity of the experience makes her fall in love with Ian Donnelly, another academic, who will become the father of her child but who will leave when she reveals the future to him. Just as the aliens prepare to leave, not religion but philosophy takes over. A question posed by none other than Nietzsche goes: if you could live your life over exactly the same as you lived it this time, would you? Nietzsche’s point was that those who say “no” deny life while those who answer in the affirmative, well, affirm it. Ian says what he would change. Louise, however, embraces life with the tragedy she knows will inevitably come. While religion is off in a corner doing something that shows just how nonsensical belief can be, philosophy stands tall and faces the difficult question head-on. Although the movie follows some expected conventions—aliens bring peace but militaries want war—it rests on a profound question to which, I’ll admit, I haven’t got an answer. Apartment dwellers often ponder new neighbors. If anything gives the lie to being in control of your own destiny, renting your domicile does. Still using the old, aristocratic terms landlord or landlady, we know that we are under someone else’s authority. “As long as you’re under my roof,” my bully of a step-father liked to huff, “you’ll obey my rules.” When you rent, you can’t choose your neighbors. Those who own the property have final say. If they play the stereo too loud (“game” is probably the modern equivalent, but I was born before Pong even came alone) and won’t listen to your plea for a more monastic setting, you throw yourself on the mercy of your lord or lady. We got new neighbors this week. Not just us, but the whole galaxy. Seven new earth-like planets—surely ruled by Trump-like dictators—have been discovered. Let’s hope they’re early to bed, early to rise types. During the Bush administration I often fantasized about the aliens landing on the White House lawn. I thought, with a president so obviously lacking intelligence, what would our new neighbors think of us? Would they complain to the landlord? You’d think that after that long trip across cold, vast interstellar space they’d maybe have the right to expect to find the brightest and the best in charge, right? Mission accomplished. The sign says so right there. Or to put it in a modern key, “Earth first, Earth first.” If they’ve got their intergalactic television on, I hope it’s switched to a different channel. 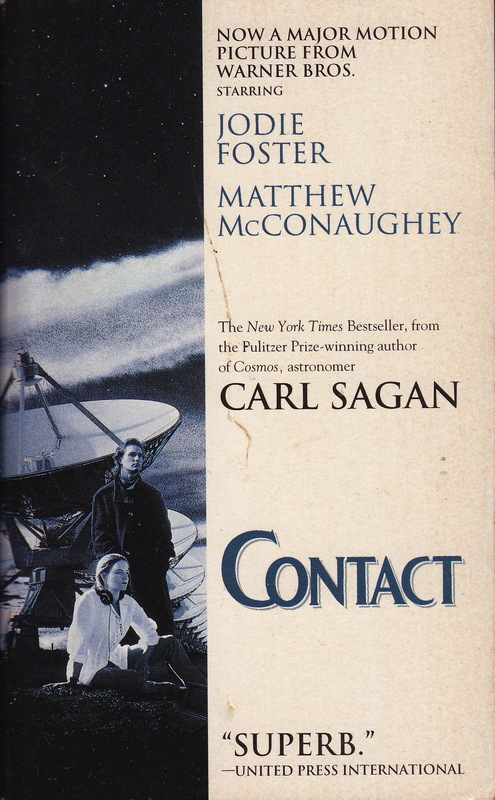 Contact, the novel by Carl Sagan, suggested the first contact from the aliens would be of Adolf Hitler. Among the first poisoned radiation this planet flung off into space was the fascist propaganda of 1930s Germany. Earthlings, not yet tempered by the Trump brand, were shocked. Surely this is a sign of hostility! Unless, of course, you control both the legislative and executive branches. Then you can just decide not to show up at the town hall and tell everyone you’ve got more important things to do. So, what will our new neighbors think? Do they just want the bodies of their compatriots from Roswell back, or is it a more serious discussion to be held behind closed doors? After all, African slaves were merely chattels in a negotiation between a more powerful culture and unhuman indigenous dullards with nothing better to do. On the spaceship back to their extraterrestrial slave mines, I do hope they have the common decency to keep the music down to a reasonable level. I have long been fascinated by American Indian folklore. In fact, the first book I read this year was a set of Indian tales. 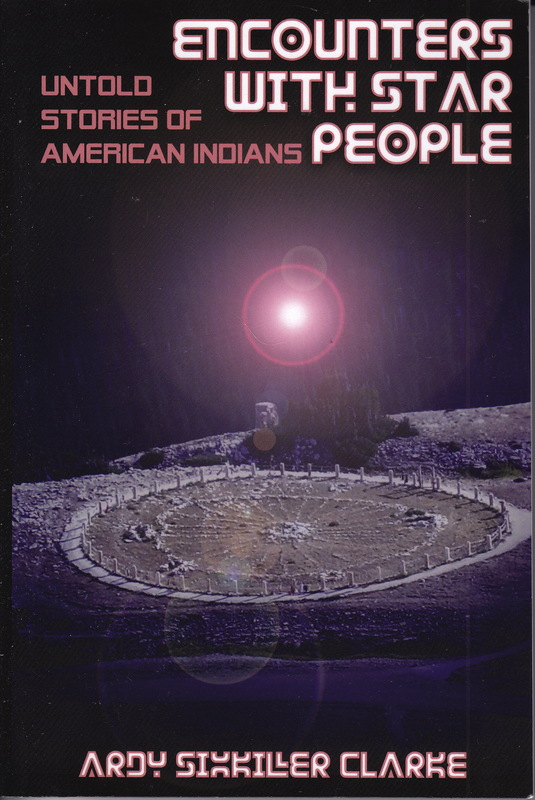 Just this week I finished a most unusual book by Ardy Sixkiller Clarke entitled Encounters with Star People: Untold Stories of American Indians. Clarke, who is herself Indian, taught at Montana State University and collected stories from various tribes concerning Star People. Mainstream western science has already made up its mind that Homo sapiens are the most advanced species ever to grace this universe, and so any discussion of visiting non-terrestrials is off the table. What Clarke shows us, however, is that just because there’s no such thing doesn’t mean that all worldviews agree on that point. In many interviews with indigenous peoples of the Americas, belief in Star People emerges as perfectly normal. As does not talking about it because white people will ridicule and belittle anything that doesn’t fit into their limited cosmos of technology and money. Reading these stories felt like absorbing wisdom from those who observe nature more carefully than those of us of European stock are inclined to do. With eyes pressed to microscopes and telescopes, it is sometimes possible to miss the big picture. We crowd into cities and have no idea how to live under the stars. We can’t even see the stars most of the time. Have we lost our ability to wonder? Purely from an academic point of view, I wonder why aliens can’t be taken seriously. I try to think of other topics that are simply laughed out of discussion before examining the evidence. To me it seems that human pride is at stake in this case. We are a very proud species, enamored of our own accomplishments. If we can’t reach the stars, nobody else can. This to me is troubling. Aliens, after all, don’t fall into the category of “supernatural” unless we mythologize them into yesteryear’s angels. If they are real, they are as natural as we are. They would have a technology that we haven’t replicated yet, and anyone who doubts interstellar flight should consider the impossibility of carrying a computer around in your pocket or on your wrist only thirty years ago. No, if there are Star People, they are natural. Whether or not they might exist is simply a matter of belief. Okay, so I pulled the book off the shelf, and I feel now like I need to read it. Call it an occupational hazard. 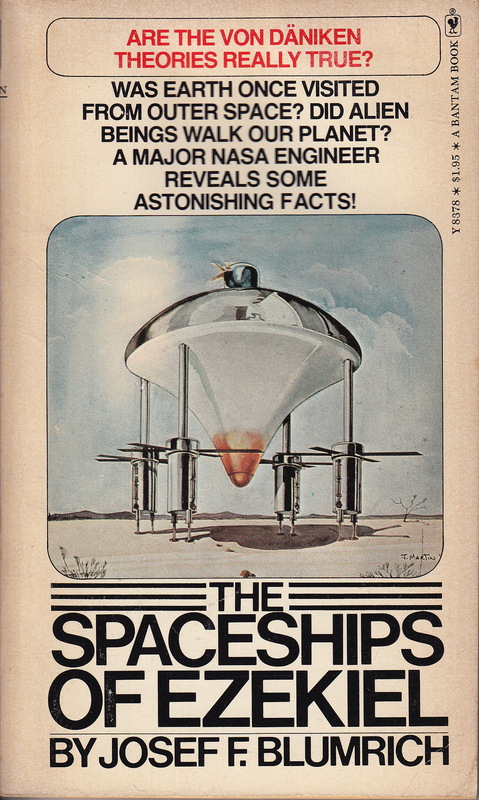 Josef F. Blumrich’s The Spaceships of Ezekiel, despite its von Däniken-like sales, has never been taken seriously by biblical scholars. Blumrich, no doubt a brilliant engineer, simply had no street cred among biblicists. His handling of biblical passages is awkward and he leaves out anything that really can’t be explained by his theories. Not exactly professional exegesis. He suggests, of course, that the “chariot” vision of Ezekiel was, in fact, a spaceship. The figure Ezekiel assumes is God is actually a commander of the ship and the message (which accounts for the vast majority of the book) really doesn’t matter in this context. In my earlier post, having not read the book then, I made the error of supposing that the helicopters were impractical in space. Reading it, I instantly saw my error. This was engineered as a landing craft from the mothership circling the earth above our heads. Boy, do I feel stupid now. The overall mistake Blumrich makes is the “unforgivable sin” of eisegesis. Suspecting that he has a well-engineered spacecraft on his hands, he draws out the implications—such as the propellers—which would not be necessary, but must be there because of a “literal” interpretation of Ezekiel. Once the eisegesis is done, it can be used to explain further episodes throughout the prophetic book. The message of Jerusalem’s destruction and the hopeful prospect of a return from exile get lost in the space dust raised by these propellers. Blumrich was quite right, however, that technical people and humanities people need to be willing to learn from one another. Ezekiel may have seen something unexplained, but his function was that of a prophet, and prophets say the strangest things. Even more odd, from my unprofessional reading, was the sense that Blumrich saw capitalism as the default economic system of the galaxy. Time and again he mentions how expensive such interplanetary travel must have been. How do we know, I wonder, that aliens like to exploit each other as capitalists do? If they are a more advanced species, surely they must have an imagination that reaches beyond one percent controlling 99 percent of the wealth to aggrandize themselves. I can imagine a society without money. A society with fair trade where everyone is cared for by medical individuals who don’t charge an arm and a leg to treat an arm and a leg. A world where doctors don’t worry about being sued by lawyers. A world where dreamers are free to dream and society values it. Ah, I’d better be careful since, it seems, I may be beginning to sound like a prophet. With Pope Francis’s impending visit, the New York-Philadelphia corridor is abuzz with discussions of traffic and commuting disruptions. From a little further away, Irish Central is reporting that the Vatican chief astronomer has gone onto record stating that he believes in extraterrestrial life. 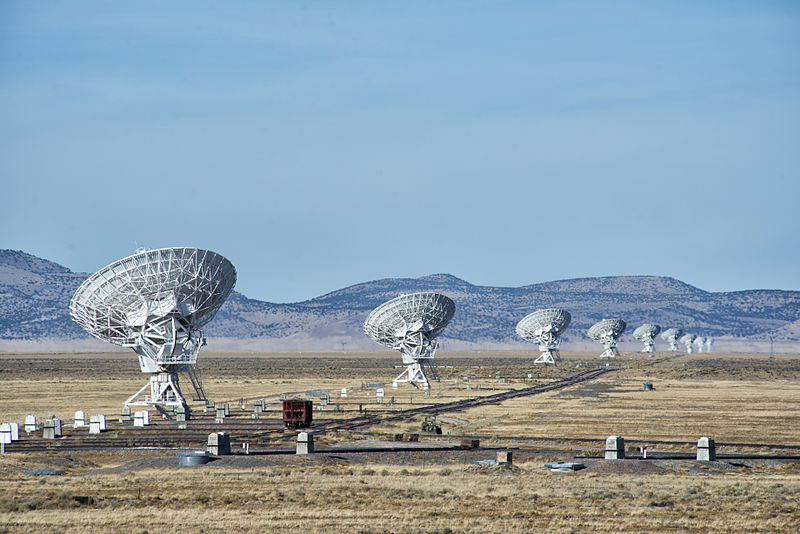 (Despite the headline, the article doesn’t say anything about UFOs, and the astronomer, Fr. Funes, is noted as saying that he doesn’t believe extraterrestrials are flying here.) The real issue, however, is metaphysical, rather than physical. How would life elsewhere impact theology? Long ago the Vatican expressed some comfort with the idea of evolution. As early as Augustine of Hippo, thinkers have noted that reason cannot contradict truth and still be convincing. The evidence for evolution, overwhelming as it is, falls under that rubric. Life in space, at least according to orthodox science, is more a matter of mathematical certainty rather than experiential. And like any scientific idea, not all scientists agree with the astronomical odds in favor of life in space. Funes, according to the article by Frances Mulraney, believes that aliens are not fallen races in need of salvation. The grand master plan laid out in the Bible was unique to this world only. Human beings sinned, we required divine intervention, and, as you’d expect from a Christian source, the incarnation, death, and resurrection of God’s only son. It does raise interesting questions about what the aliens might think of a chosen race. How could you not think yourself superior if you had no need of God’s special attention? One can only hope that ET isn’t the jealous sort. For years those who speculate about non-earth-based life have argued over how religions would handle the news that humanity isn’t alone. Would religious observance increase or decrease? It might depend on what our fellow universalists have to tell us. This, in a nutshell, is the dilemma of ancient religions. Founded when worldviews were pre-scientific, back when the earth was the center of everything, they didn’t add an infinite universe into the equation. And infinity always complicates things. Fr. Funes says the Bible isn’t a science book, and indeed, biblical scholars have long known that to be the case. It’s the contingencies outside the ordinary of two millennia ago that are most worrying to literalists. Even with all we have learned of science, we have a great deal yet to comprehend. Religion is a uniquely human response to an uncertain universe. And since ours is apparently infinite and expanding, religion may very well be something we’ll need to take with us to the stars. Sometime after the movie Contact came out, I saw it while on a flight to somewhere here or there. As with most movies on airplanes, it didn’t receive my full attention and I seem to recall not hearing a lot of the sound. Having always been intrigued by the possibility of aliens, however, I told myself I’d watch it again. Several months ago I did just that, but as Carl Sagan hoped, much of the story had become somewhat dated. I finally finished reading the novel, and this was a case of the book being better than the movie (as is frequently the case). A number of things surprised me about the story, the primary one being just how prominent religion is in the plot. In the movie some crazy preacher sabotages the first machine just as it’s nearing completion, and even though Ellie Arroway is long connected to Palmer Joss, their relationship doesn’t seem to dominate the script the way it does the book. Almost immediately upon reading about adult Ellie, it became clear that religion was a major interest that Carl Sagan had. While the chiliasts receive many scathing comments throughout the novel, thoughtful Christian thinkers, such as Palmer, find a way of being taken seriously by Ellie, despite her own personal unbelief. Unable to understand how someone could not accept the evidence before their eyes, she wants to belittle religion but can’t when serious thinkers like Palmer remind her that they have a sophisticated worldview as well. The story represents a long struggle between alternative outlooks. While as a novel it doesn’t always flow, it pulls the reader along, partly based on the intriguing character of Sagan himself. Carl Sagan believed in life on other planets. He was less sanguine about the possibility of either ancient astronauts or current-day visitors from space, but he kept an open mind. While he was the respected author of numerous scientific papers, other astronomers didn’t always know what to make of such a popularizer. Of course I never knew him, but I have to wonder if his true beliefs didn’t appear in his fiction rather than in his factual writing. At times I found the novel slow and plodding, and as the machine gives ambiguous results, I wondered where the rest of the story could go. Sagan profoundly brings the end back to belief. Without evidence, Ellie finds herself in the place of the religious who believe on the basis of experience and faith alone. And she finds her best friend is a clergyman. Contact, with its God-like aliens, is really a story of finding oneself a place in an infinite universe. To do that well, Sagan seems to have believed, requires both science and religion.